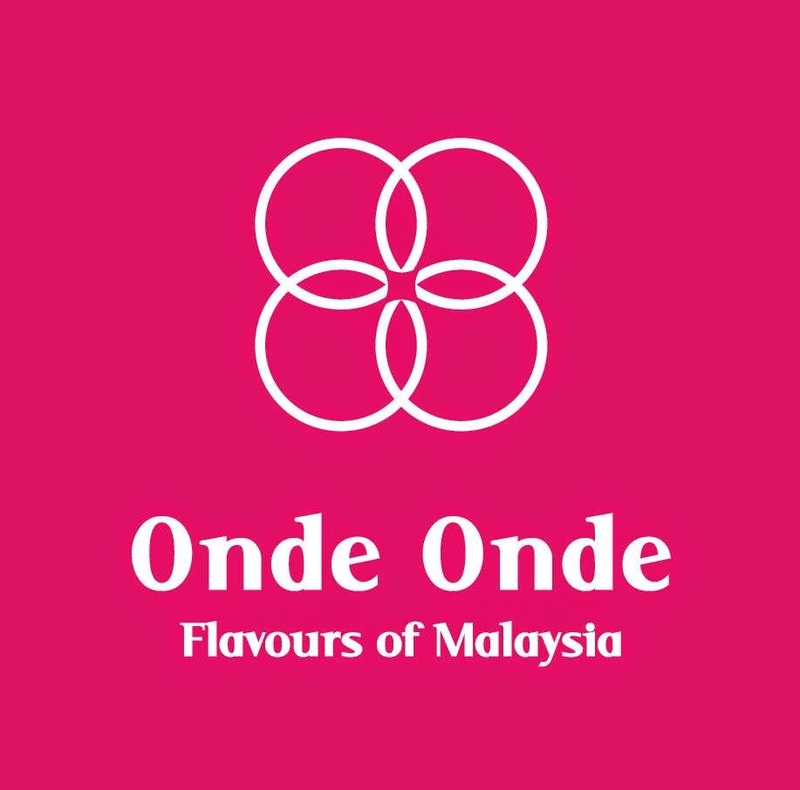 Yes, Onde Onde is the name of the restaurant and yes, they do serve a variety of Malaysian kuihs including the onde onde kuih as well. Those green moss-ball is what I call them. Glutinous rice balls that is pandan-green in colour with Gula Melaka filling sprinkled with shredded coconut flakes. Aside from the array of Malaysian Kuihs, they have a compilation of dishes that are truly Malaysian or perhaps, sparks the identity of Malaysia. Char Kuey Teow, Rojak, Cendol, Bandung Ais, Teh O' Ice, Nasi Goreng Kampung, Asam Laksa, you name it, they have it. There are several variations to the dishes as to bump it up to a restaurant level, thus making it aesthetically different from what we get usually. Started off the meal with some refreshing passionfruit drink. I totally forgot what was it called but it's worth the try. What I'd expect from every Malaysian-styled restaurant or even Kopitiam is a perfectly done half-boiled eggs. I do not bother whether it is Omega or Kampung, it just has to be done right. Silky smooth white white occasional lumps with beautiful yolk, runny and ready to burst inside. Personally, I feel like there is 2 kinds of Half Boiled eaters, the ones who mix and the ones that have it separately. I'm the later, hence I would like my yolk in perfect condition. A little white pepper and perhaps Kikoman soy sauce - perfect! Now, the Asam Laksa served at Onde Onde was similar yet different in a good way. The soup was slightly more watery and smooth as compared to regular asam laksa, but the flavours were mostly retained. In fact, it sparks a sense of freshness instead of stale tuna paste. Tangy, spicy, sweet and salty - all of which worked well with one another. Noodles were also really springy and bouncy for some reason. Makes you feel like you're eating hardened jelly - which wasn't a bad thing. I personally thought that at least they had the decency to upgrade the noodles as compared to some other places. There was 2 parts to the story behind the Duck Egg Char Kuey Teow. Initially, what I've tasted was simply bland and reek with leftover oil. After mentioning the issue to the manager in charge, she brought back another plate of Duck Egg CKT. This time, it was much better. A nicer browning to the noodles, slightly more flavourful and no longer contain that leftover oil taste and smell. Which was quite good I would say. Despite the fact that it was flat and square-ish in shape, the curry was pretty good. However, I really think that should've make it traditionally tube and give more curry sauce! The sauce was barely enough for 2 pieces! Furthermore, the roti jala itself gets cold really quickly due to the larger exposed surface area and thin width - hence, one must finish it extremely quick before it hardens. Besides that, the taste was spot on. This was pretty interesting and not to mention unique tasting as well. Sweet, sour, nutty and aromatic with a juicy yet crunchy bite - so weird. But I enjoyed it. Except for the fact that it was over drench in citrus dressing, but aside that, it was good. Recommended! Decent and well prepared. Portion and taste fits within the price bracket. Nothing spectacular, but if looking for something filling, this definitely would do! This was a total let down. Noodles were hard yet soggy, Curry was diluted and bland - it was pretty much a disaster. Last but not least, my dessert was pretty good. Fresh cuts of fruits drench with their homemade rojak sauce topped with some crushed peanuts and served with fish crackers on the sides. Simple and straight-forwarded. Overall, I think there are still far too many dishes that I've yet to try. But the one's I had were rather balanced - in terms of the number of good dishes over the total number of dishes. I've also heard some good words about their cendol and nasi lemak but I was unable to continue eating. It was only me and Kelvin (ktheblogger) that night hence our orders were quite limited. Anyway, I wish them all the best and hope they will improve on the dish I've commented.